The Henrico Christmas Mother donation season is coming up, and our Teen Advisory Boards are asking for your help. They want to be able to deliver A LOT of books this year to the Christmas Mother and would appreciate your donations of new or like new books for children and teens. 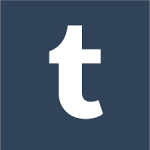 Henrico County Public Library contributes by receiving your book donations this month. When the Christmas Mother starts taking their donations on December 3rd, we deliver the books we have collected to the Christmas Mother’s warehouse, where they will be distributed to children in the county. Donations of new or like new children’s and teen books may be brought to any branch. We have donation boxes for collection. Thanks for your support in helping make Christmas a little bit brighter for children in need! Please drop off your donations by Monday, November 30th. 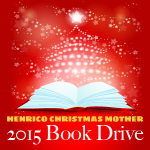 For more information about the program, please visit the Henrico Christmas Mother Website.